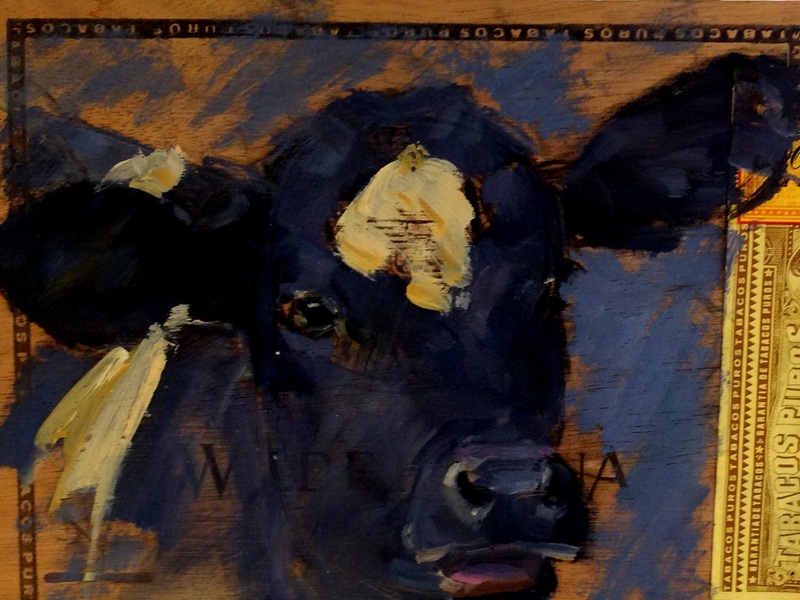 Rob Nijkamp is a cattle painter and has a preference for Dutch cows. He is living in the Achterhoek, Barchem, the Netherlands. He was born in 1969 in Raalte. Coming from a farming family and living in rural areas, the love for the Dutch cattle came naturally. 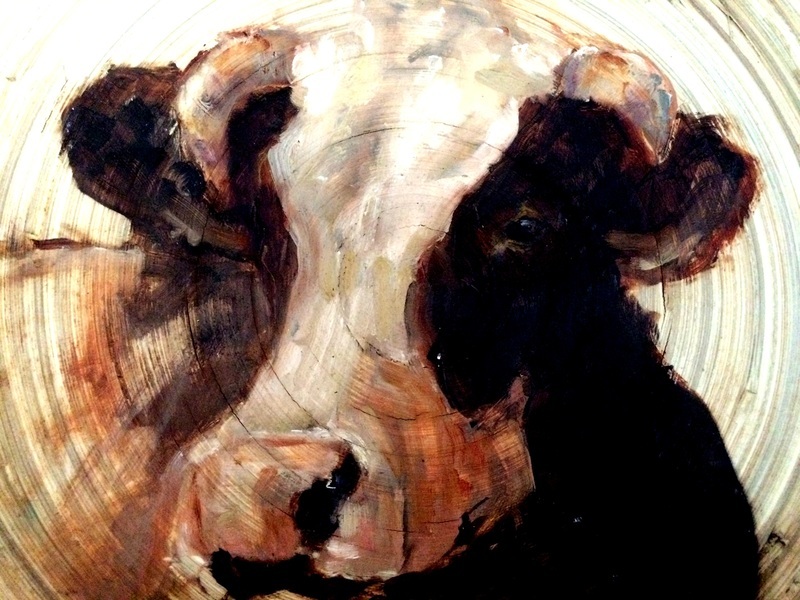 His preference for painting cows portret is because of the color, the strength, the lines and the character of this wonderful animal. The paintings by Rob Nijkamp are firmly rooted in traditional painting. Here are the 19-century painters of the Hague School as Roelofs, Mauve, Maris and Weissenbruch an inexhaustible source of inspiration. At the same time the paintings are also a follow-up to this style of painting. The style that he develops is powerful, impulsive, colorful and thoughtful at the same time. This development is partly originated by himself and partly by following lessons and listen to renowned painters. From Fred Ten Tusscher and Hans Versfelt he learned a lot about the creation of a painting and color. Roos Schuring and Sam Drukker taught him about mixing colors and how to work with the painting knife. And from Ruud Spil and Marleen Felius he got more love for the cow and its shape. His work is sold in the Netherlands and abroad, from France to Hong Kong. Hopefully you will be also affected by the love, the colors, the shape and character of the work of Rob Nijkamp. Enjoy watching.